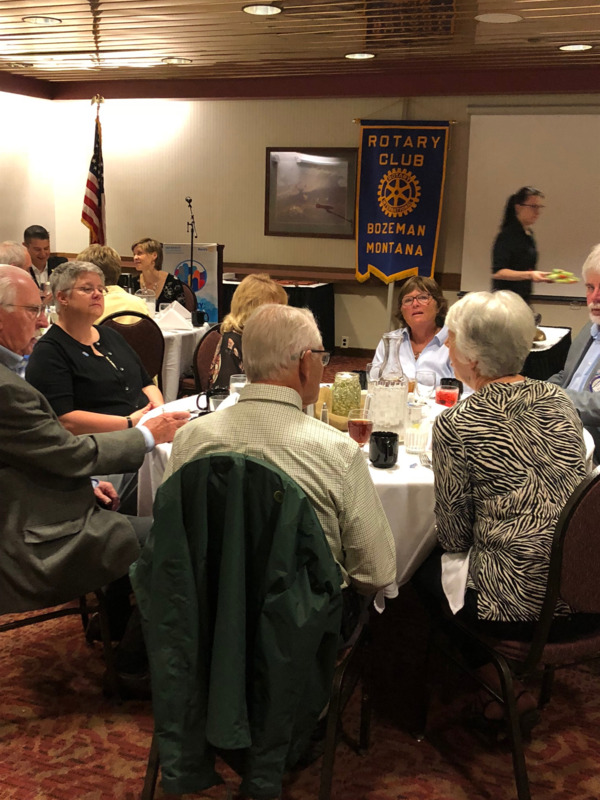 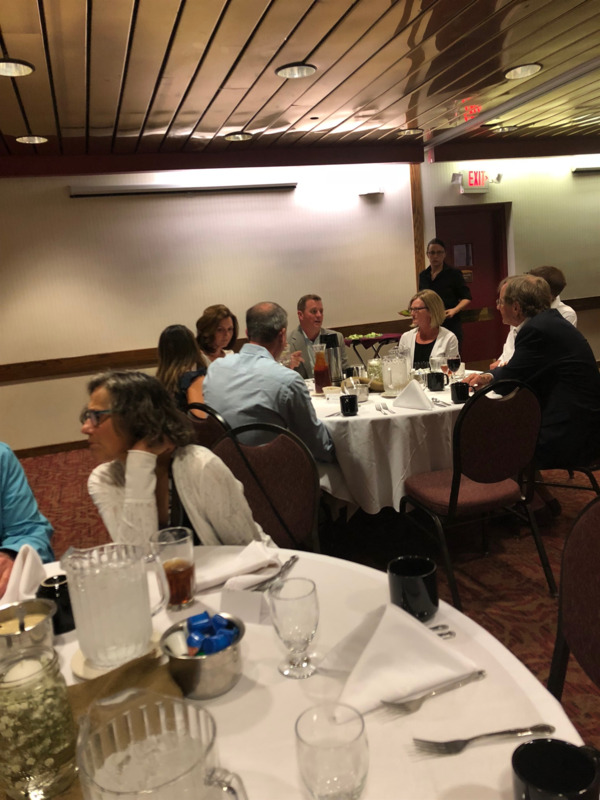 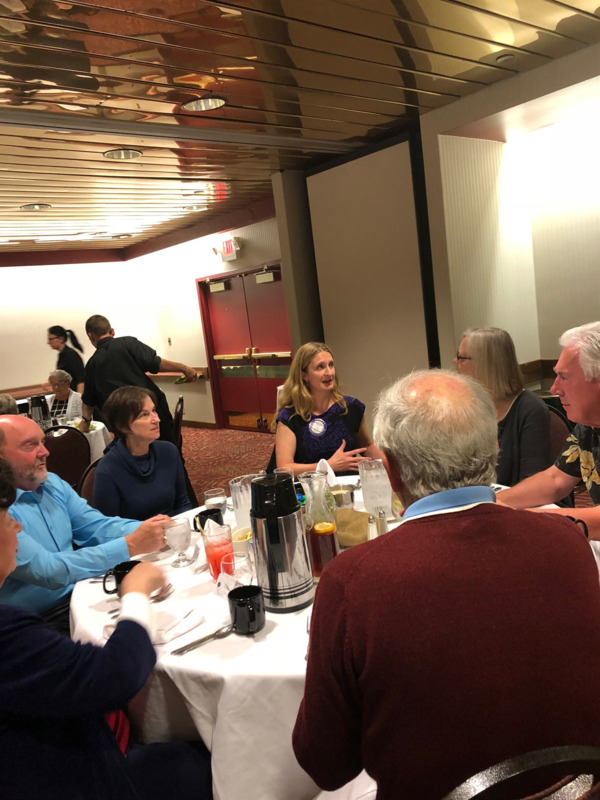 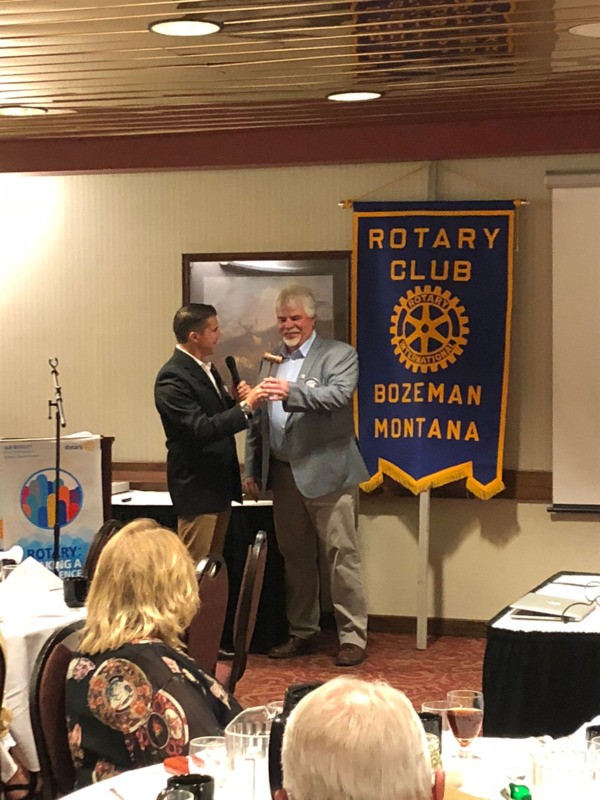 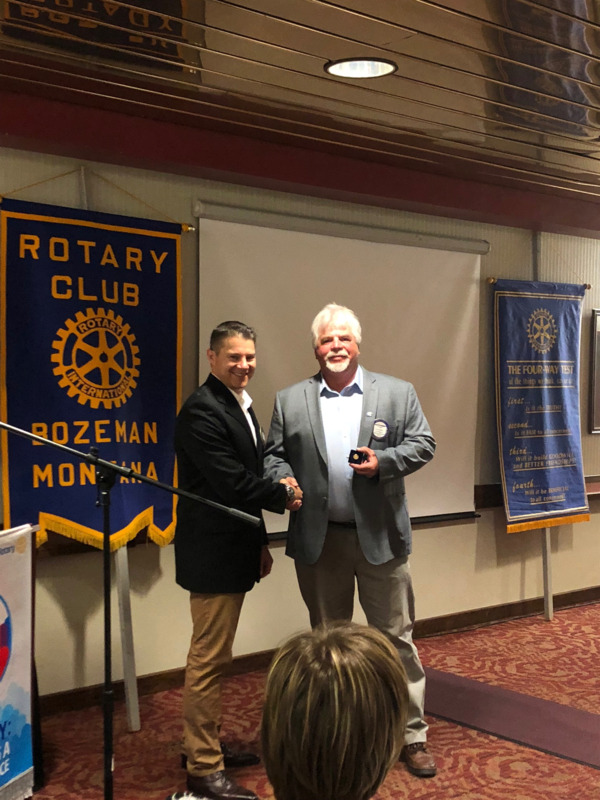 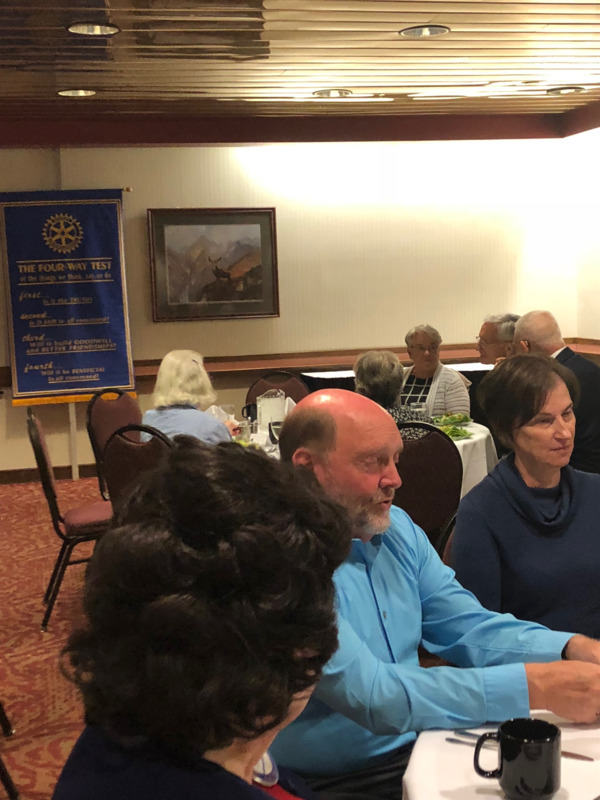 The Bozeman Noon Rotary Club wrapped up the 2017-2018 year with its annual Gavel Dinner on Friday, June 29th. 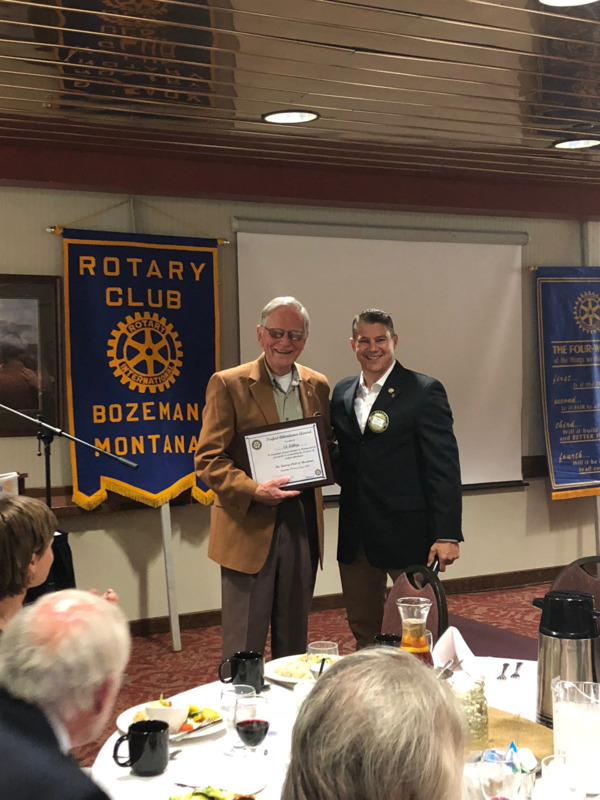 We had a special guest speaker and handed out an award for perfect attendance. 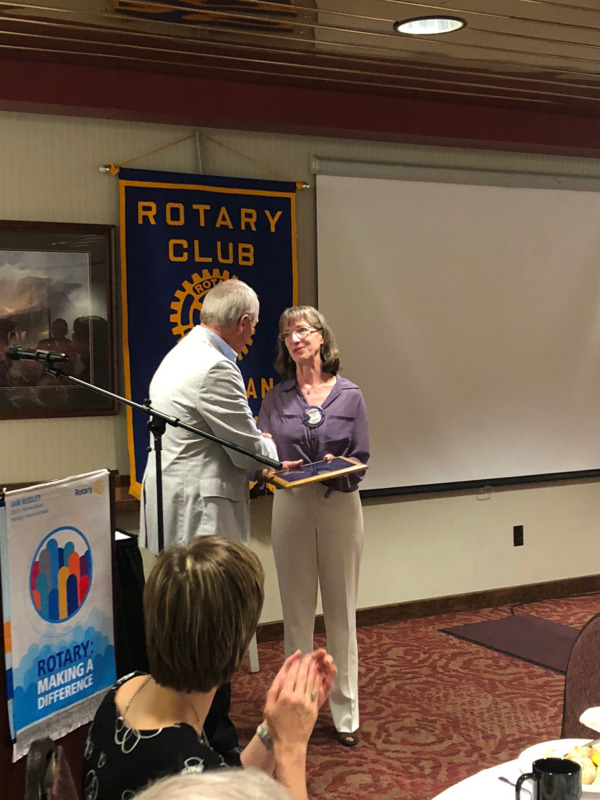 We honored member Jackie Vick as our esteemed Rotarian of the Year. 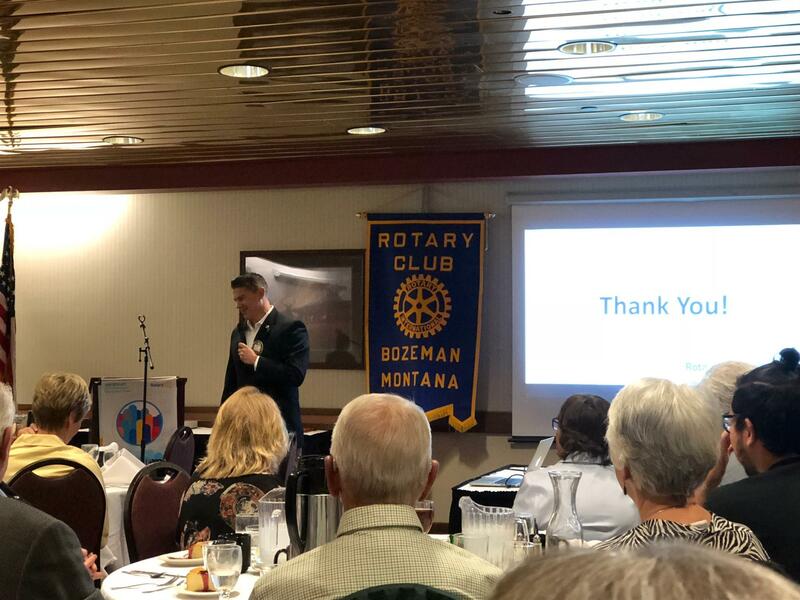 Matt Conner presented a year-in -review to celebrate the Club's many achievements and projects this past year. 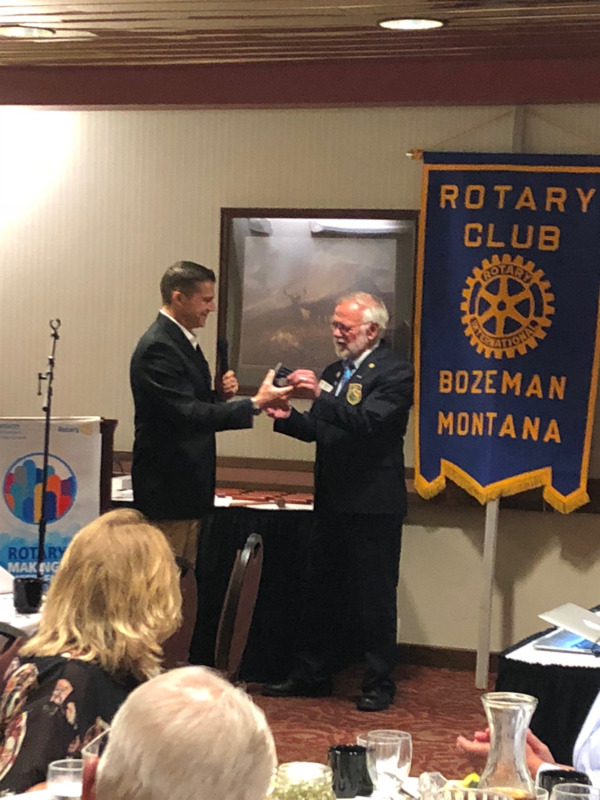 Then, Matt Conner passed along the Gavel to new incoming President Chris Budeski. 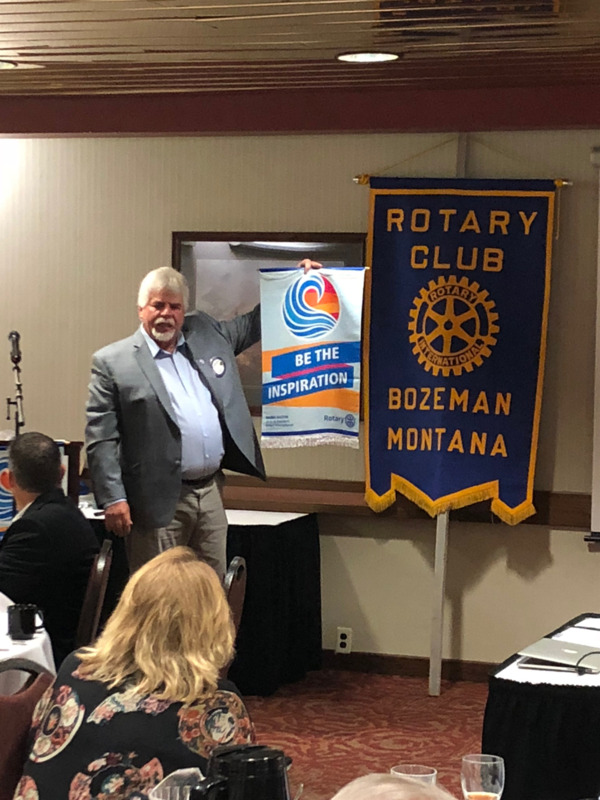 Chris Budeski introduced the new 2018-2019 Rotary International Presidential Theme: BE THE INSPIRATION. 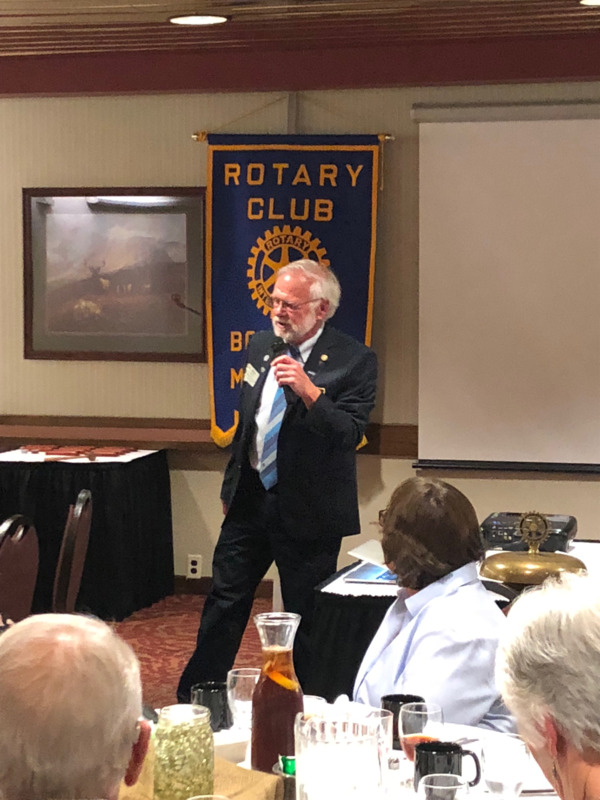 Chris then spoke briefly about his recent experience at the Rotary International Convention in Toronto.